Hotel Rainbow Park has a modern structure and interiors. The place is fully equipped with various amenities for your comfort. The rooms are bright and comfortable. 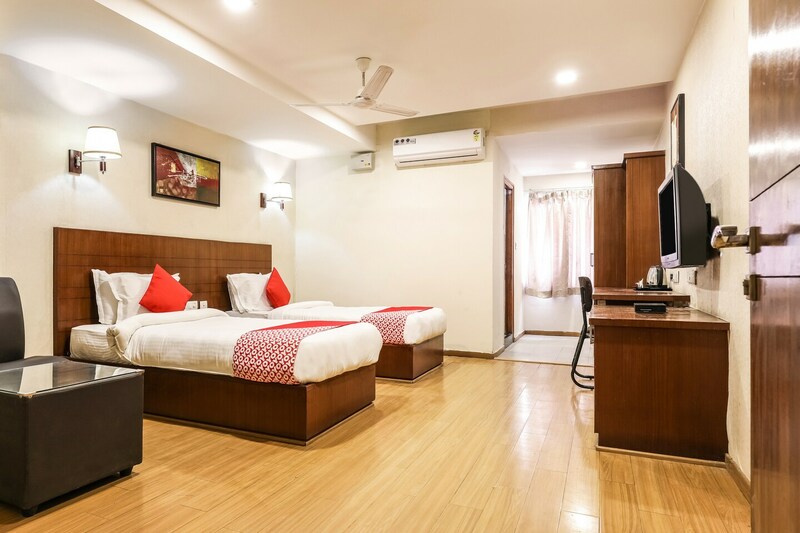 Rooms are also equipped with amenities like a mini fridge and comfortable wooden furniture for a relaxing stay. The seating area is also well-furnished space for guests to relax and unwind. CCTV cameras are installed in the premises for a safe and secure stay. Free internet access is offered by the hotel for uninterrupted browsing. Elevator, power backup and parking facility are some other facilities offered here for the convenience of the visitors. Various restaurants located nearby offer delicious treats for you to enjoy.